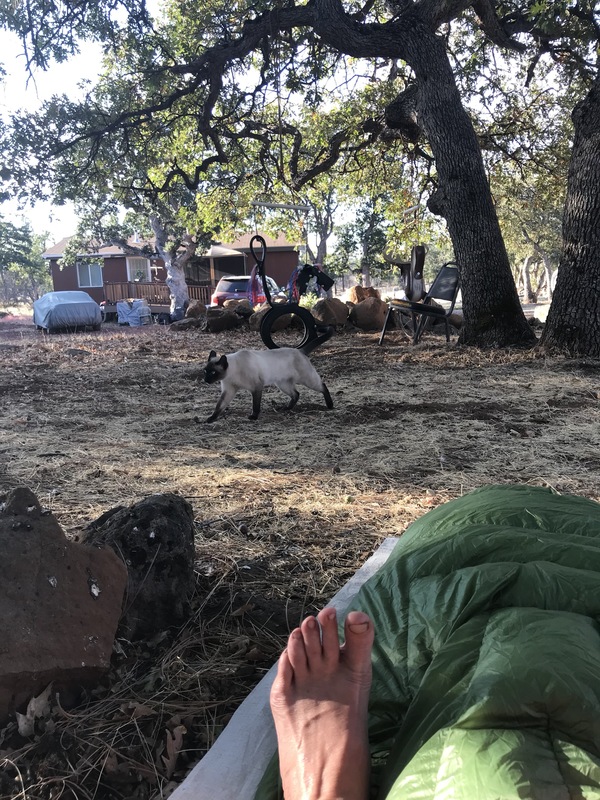 I stayed at Burney Guest Ranch for a couple nights and slept outside under some trees. Next to a large cross. In the mornings, the cats came to leave piles of cat hair all over me. There are four Siamese cats of varying sizes. Two are named Banzai and Ninja, and I wish they weren’t. There’s also a great big puppy named Duke. He’s big enough to be mistaken for a bear except that he’s all white flowing hair. I hung out with the cats and dog and read a book. 25 miles away, the Delta Fire burned freely. Ashes fell from the sky. My parents decided to brave the traffic and drive north on Friday. The next day I got a ride to the church in Burney. They had really nice showers, with a full size bottle of nice hair conditioner. I took another shower. My fingernails were finally clean. I found a good book on the shelf and waited for my folks. It turned out, waiting that extra day had made all the difference. I-5 was still closed, but traffic through the re-route was easier on the second day. They made it up in no time. 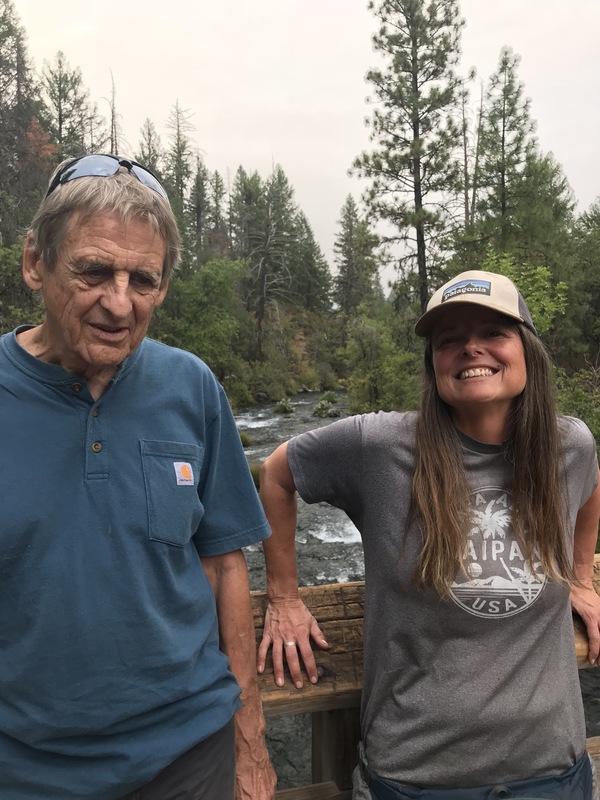 We made the drive out to Burney Falls and hiked around. The next day we explored the crystal stores. So many crystals. And tea. We went to a tea shop run by beautiful psychic people. How much tea would I have to drink to be as attractive and vibrationally tuned-in as that couple? We had lunch at a taco truck where they had compostible forks. Mount Shasta is my kind of town. A fire map was posted outside the natural food store. Although the trail was open at Castle Crags, there was no way to drive there. We’d have to get on Highway 3 and find another trailhead near Castella. My mom had brought The Bag full of extra gear. I decided to take one more long sleeved shirt. I have one but it’s for sleeping only. It might get cold and I need a base layer. I have way too many clothes. How can I wear the same thing everyday and still have too many clothes?